Hosting a fundraiser event? Are you looking forward to host a charity event for your nonprofit organization or a Casino Night Fundraiser in the San Francisco? BAM Casino Parties has been a renowned name in the Bay Area for providing a superior quality and exciting casino night fundraisers from the past several years. BAM Casino Parties can help you plan a casino night fundraiser event in San Francisco Bay Area. We specialize in customizing the best suitable fundraising package depending on your charity event goals and an anticipated guest count. Only Non-Profit Organizations who have been in existence for more than 3 years can apply for a permit. Apply for your permit at least 45 days prior to the date of an event but no more than 90 days before the date of the event. Submit your application online, print it, sign it and mail it to the BGC (Bureau of Gambling Control) with a required registration fee. 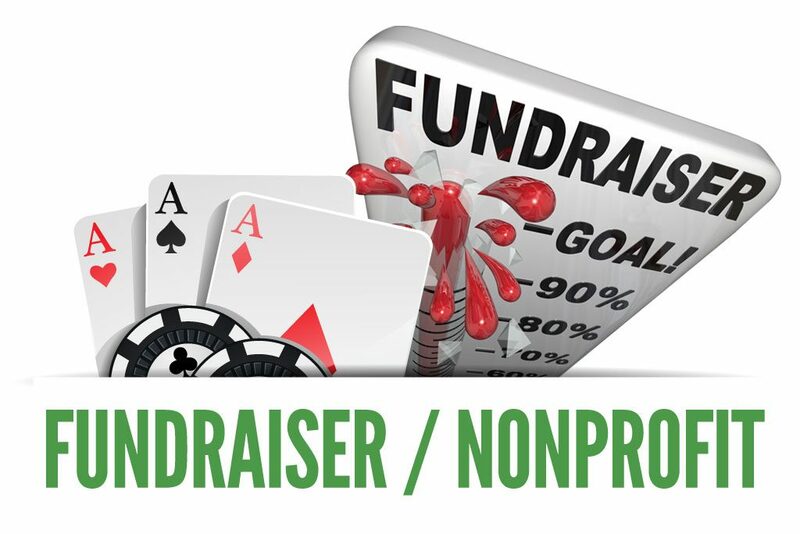 Are you looking to host a charity event for your nonprofit organization or a Casino Night Fundraiser In San Francisco? With an intellectual and skilled staff, we at BAM Casino Parties offer a mix of unique ideas to organize your event. This may include events like silent auctions, live auctions, raffles, poker tournaments, individual sponsorships, corporate sponsorships, cash bar, gourmet catered dinner, ticket sales and a host of other details. These efforts have turned out to be a huge success in the past years in order to raise funds for the various non-profit groups or charity organizations. We offer casino fundraiser services for any kind of charity event, be it for PTA and PTO, schools, churches, pet rescues, youth groups, sports teams or any such organizations. We focus on understanding the primary aim of fundraising and then put in our best efforts to make your event a huge success. We ensure that our friendly, professional staff and volunteers with high-quality casino equipment will help maximize your fundraising potential while maintaining the authenticity of the casino style event. We also ensure that our organized casino parties make your charity event come alive and help achieve the goals set primarily for an event. Another aspect that we work on is to pitch in ideas to keep your guests entertained, thrilled and engaged during the whole event. Live entertainment and a catered dinner are few of the events that are included to impress your guests. BAM Casino Parties has so far assisted dozens of non-profitable groups, organizations and charities with their fundraising requirements. It would be our pleasure to share our past experiences with you and plan your event in a yet different manner. Organize your event with us and let this party be a reason for your guests to dress up and have an impressive time. Visit us and share your needs, finances and goals to help obtain a custom tailored plan. Also Check Out Our Prom Casino Party Packages. We provide you with the top casino games approved by the BCG. We are a certified Gaming Equipment and Service Provider with the California Department of Justice. Click Here to view certificate. Please read the Business & Professions Code Sections 19985 through 19987 for all information pertaining to casino fundraisers and how to keep records related to your casino fundraiser (leginfo.legislature.ca.gov). For event registration and more comprehensive information visit oag.ca.gov/gambling/charitable, scroll to and click “Registration Links Here,” click “Annual Registration Form for Nonprofit Organizations” and fill out the application.